No longer teaching a class, but another teacher is? You can transfer an entire class, modules, grades, students, everything, to another teacher. Sign in as a teacher and select the class that you would like to reassign. 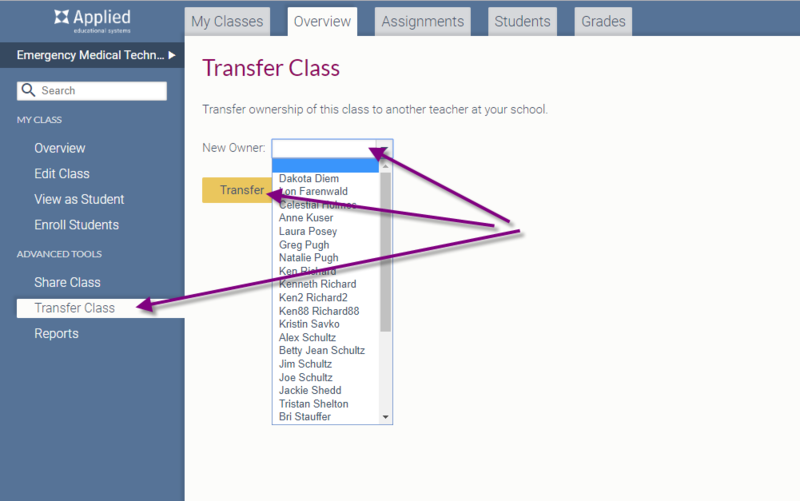 While on your My Class tab, you can select Transfer Class from the Advanced Tools section on the left. 3. From there, you'll select the teacher's name from the drop down and Transfer! Easy Peasy!